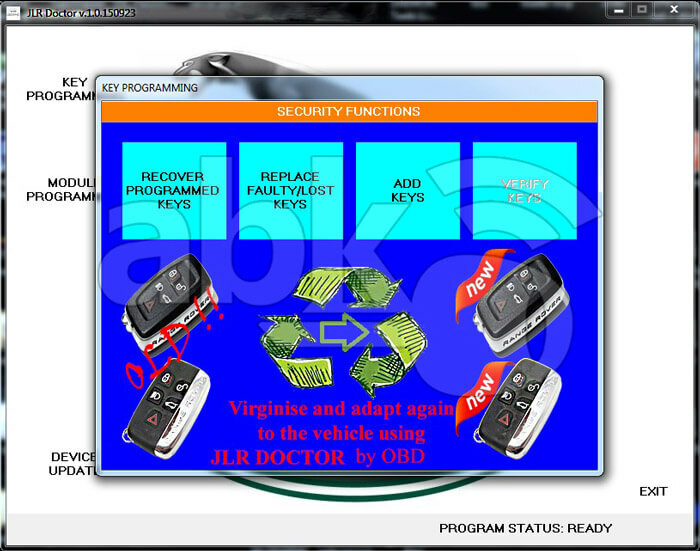 As of April 2015 (SDD v.141.04 and later releases), all JLR vehicles (Land Rover, Range Rover & Jaguar) have a software update, which makes their Keyless Vehicle Modules (KVM) 'read only'. If the owner requires additional key fobs (due to loss etc. ), the KVM should be replaced. New update for JLR standalone key programmer ready to cover latest versions that support CAN based models from 2010 up to 2017 FK72 Versions of KVM & GX73 Versions of BCM Without exchanging the KVM. 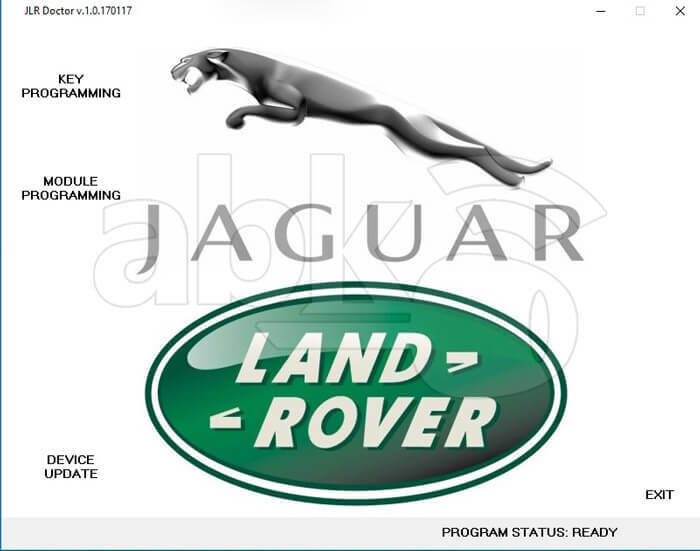 We at ABKEYS fully support JLR company in their efforts to maximize security of their cars, protecting owners from losses, due to stolen cars, on the other hand, we are trying to support and help independent garages and legitimate key makers, which covers customers in areas without official JLR representatives. We are proud to announce, that ABKEYS is first in the world to support newest 2015/2017 models with latest FK72 KVM versions without exchanging the KVM. As already declared, our device is for legal use only. Currently, our device supports all known versions and below You will find list of KVM releases, personally tested by us. Programmer needs less than minute to learn a new key if there are no fault codes in the intelligent key module. If there is a fault, device need less than minute to clear the fault and learn a new key. Device can program the maximum of 8 smart keys in the immobilizer module memory.